Please read through program requirements and download or fill out the pre-qualification application at the bottom of the page. You must have a need for adequate housing. You must have lived and/or worked in our service area for a minimum of one year. You must have at least one year of steady, verifiable income that is expected to continue. You must have reasonably good credit. You must have an ability to pay a mortgage. You must be willing to partner with Habitat. Are you living in overcrowded, unsafe or unsanitary conditions? Do you have a leaking roof or poor heating/cooling systems? Are you paying more than 30% of your gross monthly income on rent? Are you homeless? If you answered yes to any of these you may have a need for adequate housing. West Pasco Habitat for Humanity is a low-income housing lender. Qualified applicants must demonstrate an ability to pay a mortgage. The chart below identifies the minimum and maximum income to qualify - per family size. 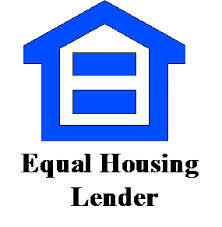 Income guidelines are subject to change annually based on the US Department of Housing and Urban Development (HUD). These figures include all sources of income such as: Wages, Business Income, Military Income, Income on Investments, Social Security Income, Non-taxable Income, Child Support & Alimony etc. All income sources must be verifiable and expected to last a minimum of three years. Qualified applicants must also demonstrate that they pay their bills and debts on time. Applicants must not have filed bankruptcy, have had any foreclosures or repossession within the last 7 years. Additionally, all accounts in collection (except medical) must be satisfied or paid. This would include but is not limited to: accounts with cell phone providers, cable & internet providers, utilities, credit cards etc. Willingness to Partner is defined as the sum of all interactions between the Partner Family and the West Pasco Habitat for Humanity. Habitat homeowners must be active participants in building a better home and future for themselves and their families. Every Habitat home is an investment. For us, it is one answer to a critical need, and we believe that stronger homes will create stronger communities. Partner Families will be required to complete "Sweat-equity" (volunteer work) in the construction of their home and/or another family's home. Alternative "Sweat-equity" opportunities will be provided to individuals with disabilities. Partner Families will be required to attend workshops related to financial wellness, budgeting & home maintenance and repairs. Partner Families will be required to make monthly payments to Habitat, to hold in Escrow, for their down-payment and closing costs. Do you have an interest in the West Pasco Habitat for Humanity's Home Ownership Program? Please complete the pre-qualification form to see if the West Pasco Habitat for Humanity's Home Ownership Program is right for you. Once submitted, someone from Habitat will contact you with the results and may invite you to complete a Home Ownership Program Application. Fill Out Our Pre-Qualification Application Online Now!